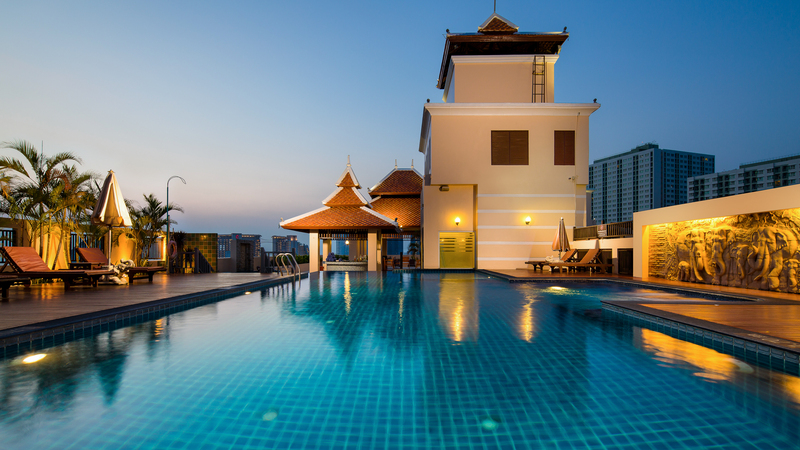 The Beautiful Pattaya bay view swimming pool. 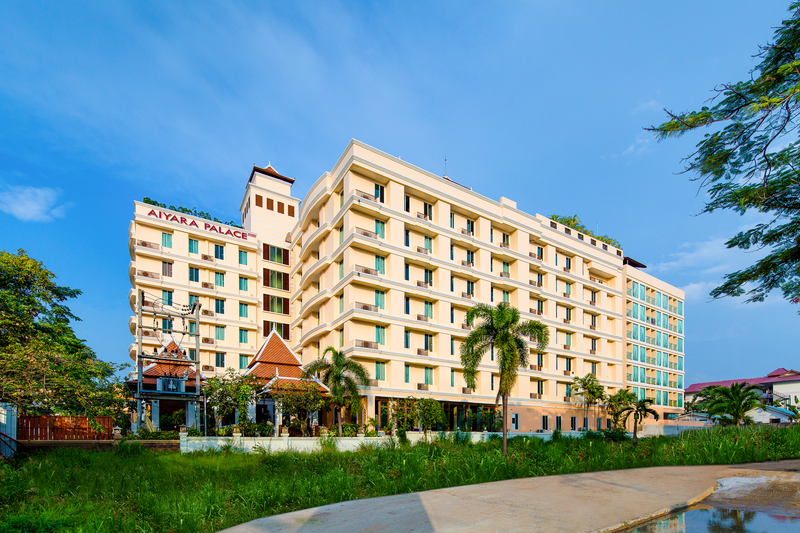 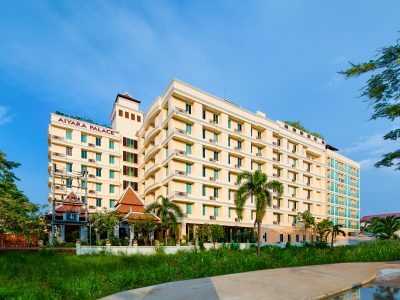 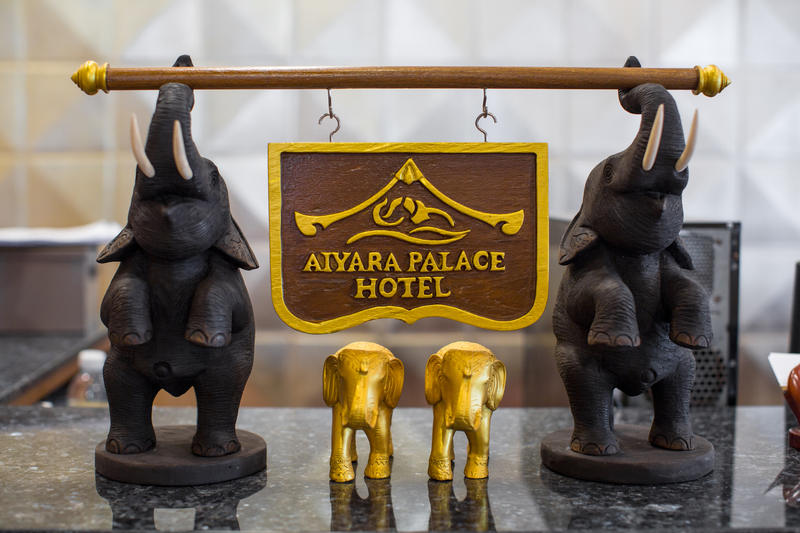 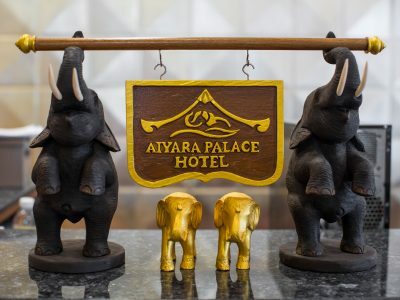 To discover the Unique experience for your holiday at Aiyara Palace Hotel, Pattaya, Thailand. 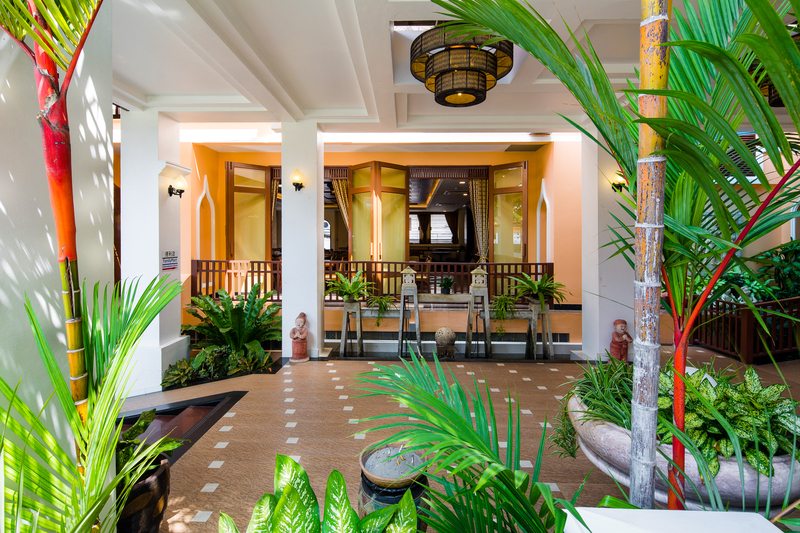 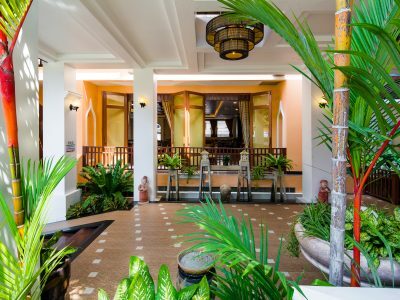 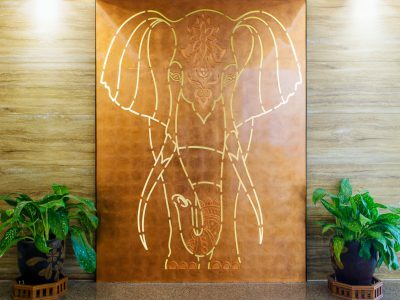 Enjoy the relaxed atmosphere of traditional Thai and modern style. 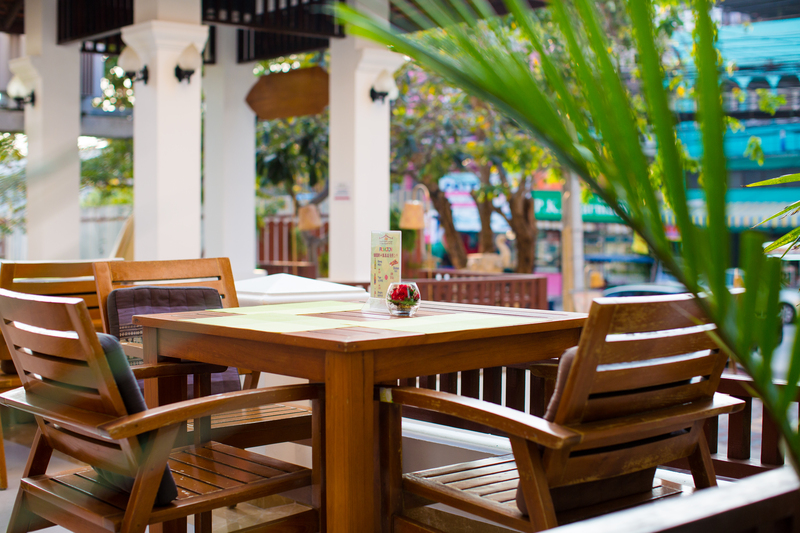 We are right in front of Pattaya Naklua road next to Soi 25. 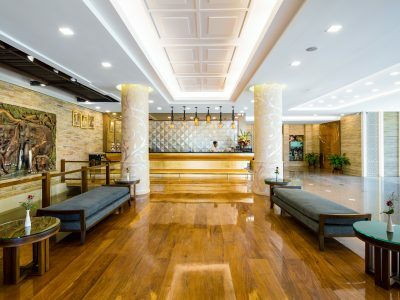 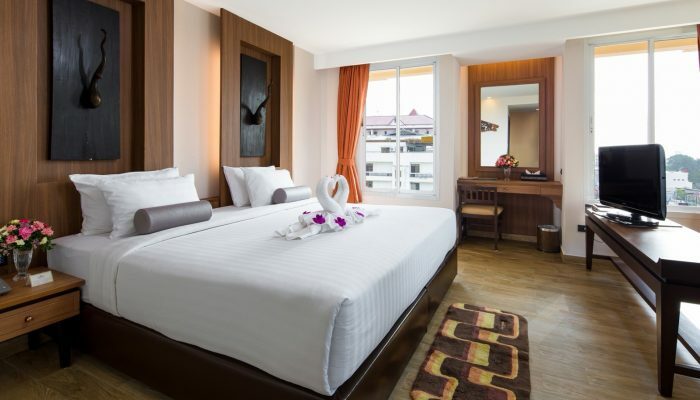 The hotel is close to the beach, bank, shopping center and entertainment area. 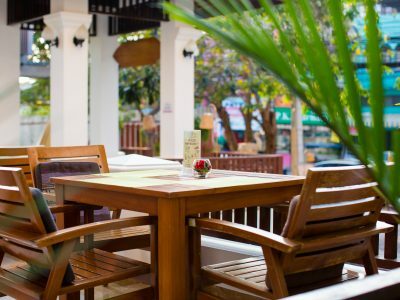 It’s only a few minutes by public transport. 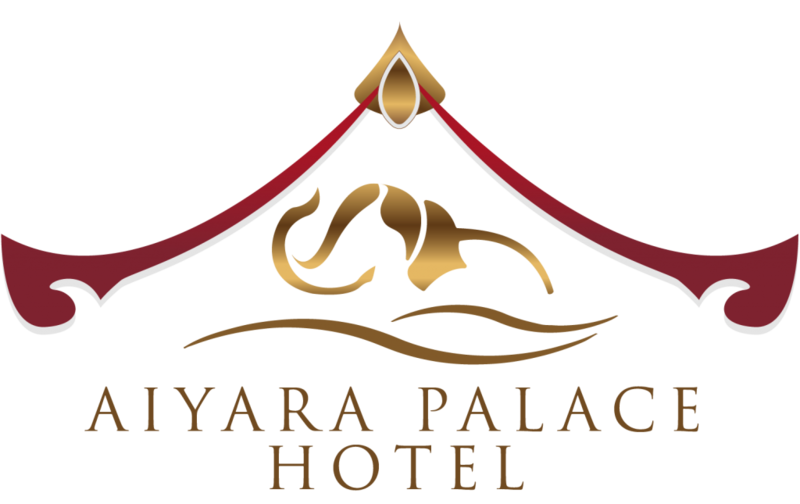 We are offering the accommodation with our best hospitality. 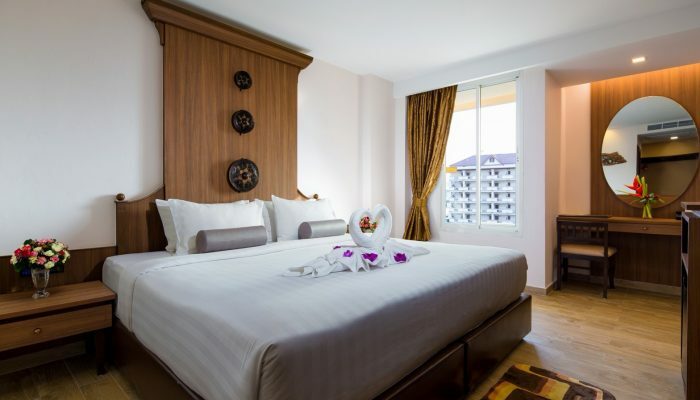 We provide 195 guest rooms surround by a part of beautiful beach view. 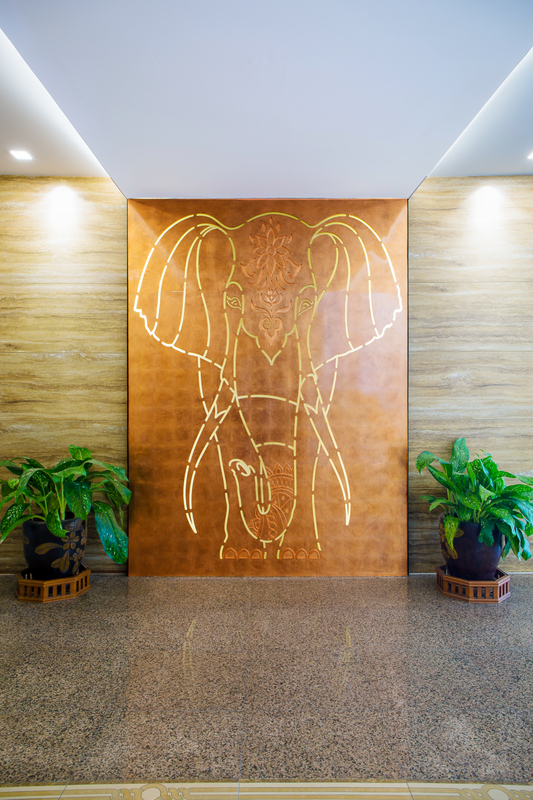 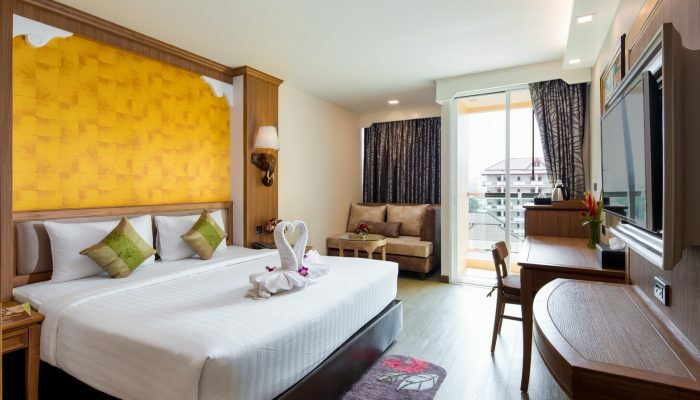 All room are decorating in the elegant modern Thai style. 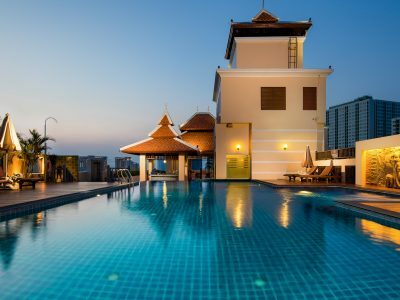 It makes you feel luxury and relax. 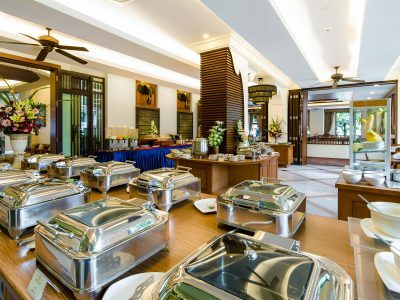 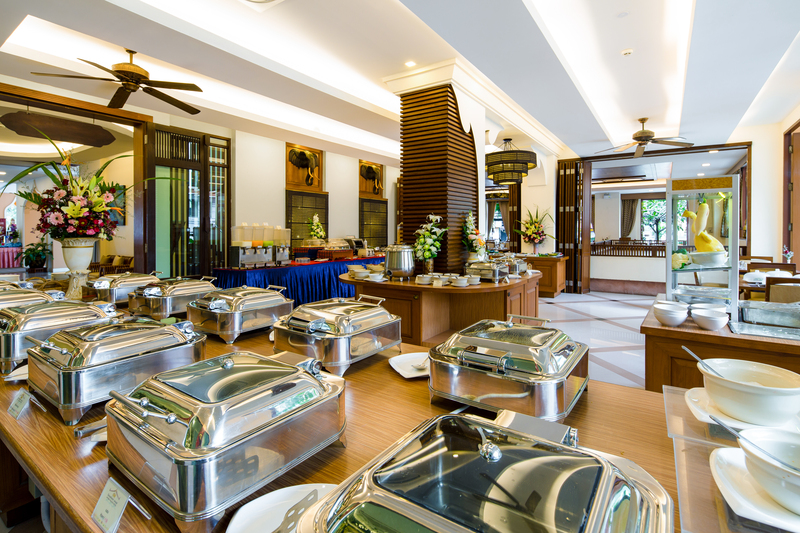 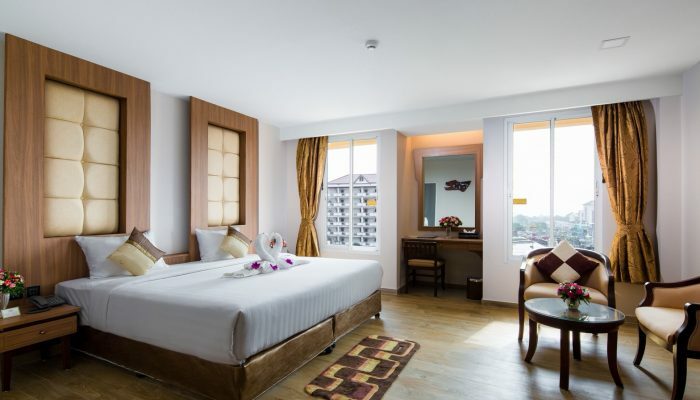 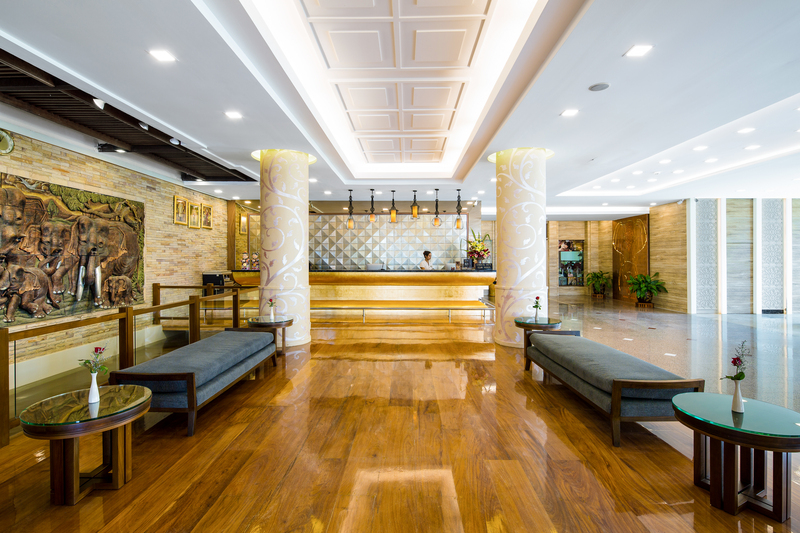 We also present the quality of our hospitality and make your holiday truly memorable in Pattaya.